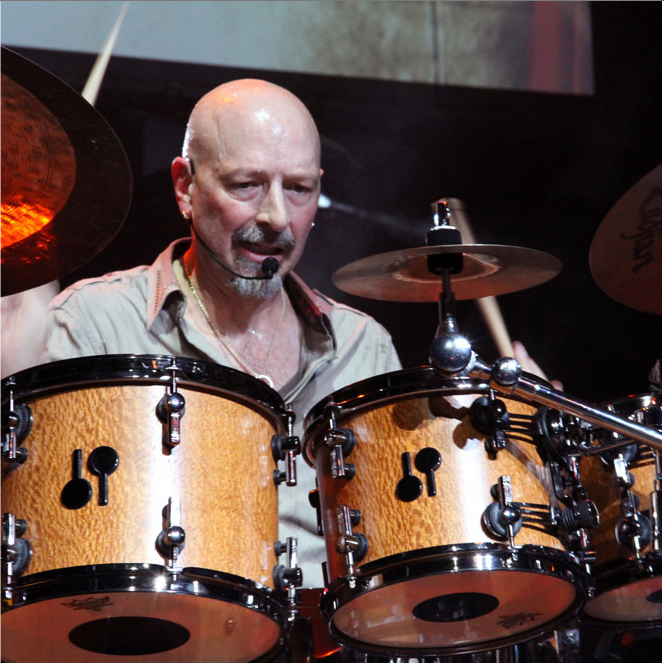 Steve Smith, most famous from drumming with the band Journey, has toured and recorded for 35 years with artists of all tiers. His beats appear on recordings that have sold many, many millions of copies worldwide, including Mariah Carey, Bryan Adams, Jean-Luc Ponty, Zucchero, and many more. Now, he’s trying something new: to reach a market he’s never touched before. Smith is debuting his first visual art collection, a set of original prints on canvas titled The Fabric of Rhythm. His work will open in Art on a Gallery in New York City on Thursday, March 10. He’ll be present for the free event on March 17, discussing the works in his collection. The creative photography in Fabric has personal importance to Smith, who has been a drummer since he was 9 years old. “With drumming, we hear only part of the motions that we make, and because the sticks and hands are generally traveling so fast, we don’t see all the motions being used. We hear the impact of the stick on a drumhead or cymbal, but we don’t hear the motions made in the spaces between the notes. The spaces in between the notes are as important as the notes that we hear. With the process that we used to make this art, you see both the impacts and the spaces between the notes. It’s as if we are looking into the very fabric of the rhythms,” he says of his prints. He worked with visual art team SceneFour from Los Angeles to make the prints, which are vividly colored studies of Smith and other percussionists at work (or at play? ), their hands and instruments vividly illuminated in motion. The collection will be on display at Art on a Gallery from March 10 through April 7.